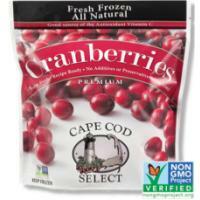 Our premium fresh cranberries are grown to the highest standards in the industry. We select only the ripest, freshest fruit to package for you. It’s just what we do. From flower to package, we’re integrating the latest sustainable technologies and pledge to do our share in protecting the environment. We hope you enjoy our cranberries as much as we enjoy growing them!